Founded in 2015 by Louise McGuane, J.J. Corry Irish Whiskey is Ireland’s first modern Whiskey Bonder. Throughout the golden age of Irish Whiskey in the 19th century, most Irish Whiskey was blended by and sold to consumers by the Bonders. The practice died out in the 1930s with the near collapse of the Irish Whiskey industry, after which all aspects of Irish Whiskey production & sales was undertaken by the distilleries. After the decline of bonding, Ireland lost hundreds of regional and local styles of Whiskey and the art of blending fell out of focus. 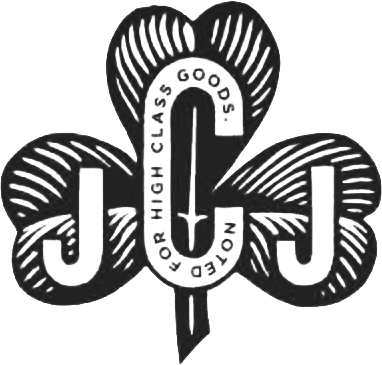 J.J. Corry Irish Whiskey has resurrected this lost art of Irish Whiskey Bonding, under the brand of the renowned 19 century local Whiskey Bonder, J.J. Corry from Co. Clare. The company sources new make Whiskey Spirit from Irish distilleries and matures it in a purpose built bonded rackhouse on the McGuane Family farm in Cooraclare, Co. Clare, right along the Wild Atlantic Way. Whilst waiting for their Spirit to come of age, they source & blend rare mature Whiskey to create their own unique house style. Named after a Bicycle that J.J. Corry invented, in tribute to his entrepreneurial spirit, their first release, J.J. Corry ‘The Gael’, is classic style of blended Irish Whiskey, bursting with juicy fruit flavors and underlying complexity. It contains unusually mature Whiskeys for an Irish blend. What does J.J. Corry taste like? The Flavor Spiral™ shows the most common flavours that you'll taste in J.J. Corry irish whiskey and gives you a chance to have a taste of it before actually tasting it.